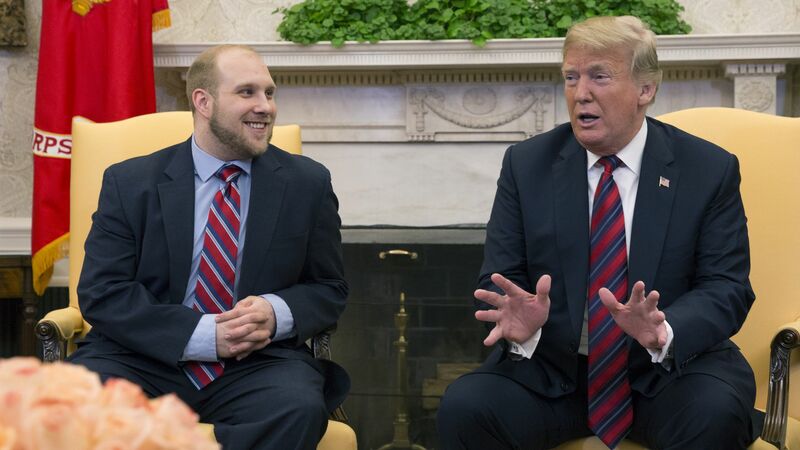 Beyond a triumphant photo-op for President Trump and the Utah Congressional delegation — which mounted an impressive campaign to make the release a priority — the freedom of Josh Holt, a U.S. citizen from Utah that the Maduro regime held hostage for nearly two years, raises the prospect of increased diplomatic activity. State of play: The release indicates that Maduro may make more releases without loosening his grip on power and shows that back channels between Washington and Caracas exist. Conversation in Washington about Venezuela may move beyond sanctions and threats while U.S. policy will continue to be uncompromised in its efforts to promote a Democratic transition in this crisis-ridden, oil rich nation. The big picture: Trump has a win on Venezuela. The background: Holt and his wife, who he met online, became victims of circumstance when they were living together in Venezuela in 2016. The Maduro government’s police planted cash and weapons in the couple’s apartment, located outside the capital Caracas. The government claimed it detained Holt and his wife on charges of spying, violence, and conspiracy to undermine the Constitution. Human rights groups described these as trumped-up charges, staging a situation in which Maduro was likely to cynically use Holt’s jailing as a bargaining chip for opening lines of communication with U.S. officials. Holt is believed to be the only individual holding a single U.S. citizenship detained in Venezuela. Michael McCarthy is a research fellow at American University’s CLALS, an adjunct professor at George Washington University's Elliot School for International Affairs and the founder and CEO of Caracas Wire.